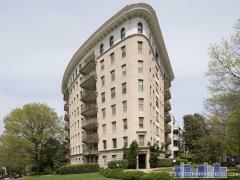 The Newport is a 10-story high-rise condo building located at 1260 21st St NW between N St and New Hampshire Ave in the Dupont Circle neighborhood of DC. This condo building was completed in 1966. There are a total of 156 condominium homes at 1260 21st St.
Have any comments or questions about The Newport? Ask your question and/or share your thoughts about this Building.